This past week marked the 150th Anniversary of the battle of New Market (May 15, 1864). Federal Major General Franz Sigel was ordered by Grant to move up the Valley Turnpike to Lynchburg, where Sigel was to destroy the canal and railroad there. This move was to be in conjunction with Grant’s major spring offensives. Should Lee have left Breckenridge in the valley to deal with continued Federal threats, or was Breckenridge’s undersized division of better use in the opening 1864 battles for Richmond? The aftermath of Hunter’s Raid. 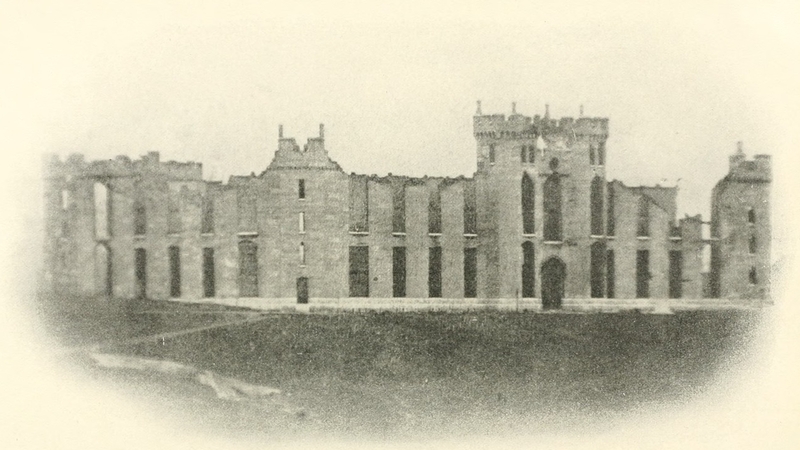 The burned ruins of the Virginia Military Institute in Lexington, VA. This entry was posted in Question of the Week and tagged Battle of New Market, David Hunter, Franz Sigel, John C. Breckinridge, Lexington, Robert E. Lee, VA, Virginia Military Institute, VMI. Bookmark the permalink. It is a difficult proposition to criticize Lee for presumed mistakes, but based on the situation at that time and hind sight, he probably should have left him there. Based on his past record, Hunter probably would have folded under opposition,.